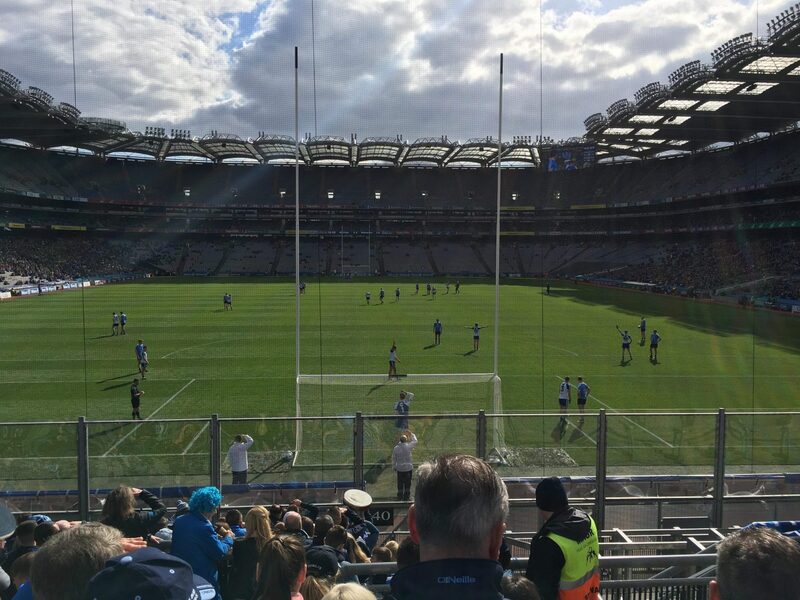 Dublin suffered their first League defeat against Monaghan this afternoon in their final round game of Division 1 of the Allianz National Football League. Jim Gavin though won’t have too many sleepless nights over this loss in Croke Park in what was a dead rubber match with Dublin already through to the League Final and Monaghan’s division one status already secured. There was little on show to get the pulses of supporters racing particularly with the boys in blue lacking their normal pace and intensity. Gavin took the chance to make couple of changes to the side that had been named just hours earlier. Conor McHugh, Kevin McManamon and Shane Carthy came in for Michael Darragh Macauley, Paddy Andrews and Paddy Small. Monaghan’s Vinny Corey got the scoring underway with a point inside the opening two minutes. That was cancelled out a minute later with a Dean Rock free. Conor McManus and Rock then exchanged points as the game ebbed and flowed from one end of GAA headquarters to the other. A nice point from Brian Fenton a second converted free from Rock and an excellent point from the right by Philly McMahon put Dublin three in front. But just two minutes later it all changed Dessie Mone clipped over a point and in the next Monaghan attack Vinny Corey took a nice pass from Owen Duffy and he slotted the ball low past the dive of Comerford to the net to give the men from the north a one point lead. John Small strode forward to grab the equaliser with a fine point. Dean Rock and Conor McCarthy swapped a converted free apiece and with nine minutes to the break Brian Howard gave Dublin a one point advantage with nice finish. Another Conor McCarthy free brought the sides level again and it stayed that way at the short whistle with the score 0-08 to 1-05. Monaghan took the lead shortly after the restart with a point from Conor McCarthy. 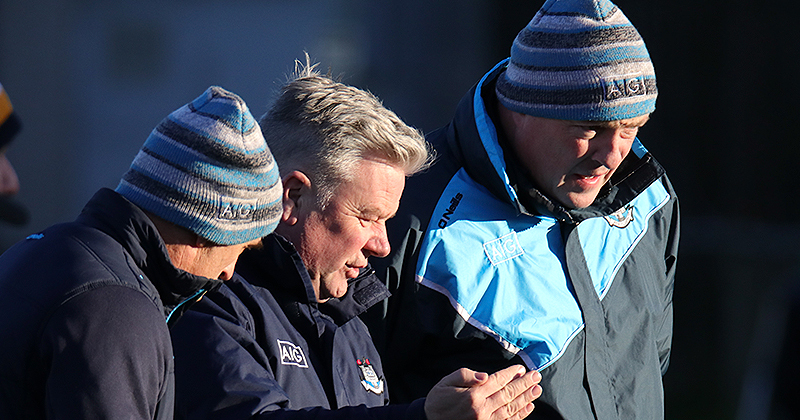 But Jim Gavin’s side out scored their opponents by five points to two for the rest of the third quarter. A Conor McManus free sandwiched in between a yellow card for Philly McMahon which was to prove costly and a black card for Monaghan’s Dessie Mone left a point between the sides. A Dean Rock converted free, was cancelled out by a Karl O’Connell from play as the game headed down the home straight. Dublin’s David Byrne who played well throughout broke forward from his defensive position to score and excellent point to leave the metropolitans two to the good with six minutes of normal time to go. But just had they had done in the first half Monaghan found the net with a looped shot from Jack McCarron and the Farney men led by one. Moments later Philly McMahon was shown a second yellow and subsequent red for an incident of the ball. With two minutes remaining Brian Fenton hit a smart long range effort to bring the sides level. As the game headed into four minutes of added time Jack McCarron slotted over the bar to give the lead back to Monaghan. Dublin broke down the other end and Brian Howard restored parity once again. It looked like the game would end in stalemate but with the last kick of the game Fintan Kelly hit a fine point to claim the win for Monaghan.